The temperature control cable attaches to a lever in the hvac box. It is fairly common for the tip of this lever to break off and the cable no longer controls the door that this lever is attached to. 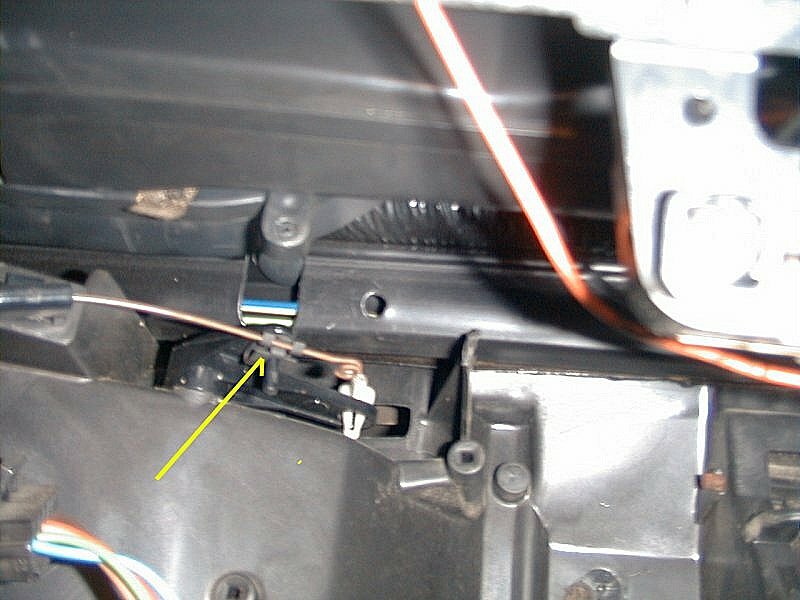 To see this lever, open the glove box door, depress the retaining clip and let the door hang all the way open so you can see thru the opening to the hvac box....look slightly up thru the opening as the lever is at the top of the box.